Two HOV lanes for multi-occupant vehicles in Chengdu will be officially opened on January 23. This news immediately triggers a brainstorming in the citizens: Can the co-pilot with a dog muddle through? How to judge the number of people in the vehicle? Will it be scored by traffic police if entering the HOV lane by accident; especially the punishment which is of the utmost concern. On the morning of the 18th, the Chengdu Traffic Management Bureau authoritatively interprets the HOV lane: In the light of HOV lane as new thing in China, Traffic Management Bureau insists on the combination of education and punishment to correct the vehicle violations not to be punished by the buffer period with 1 to 2 weeks. The violation will be fined from 100 Yuan after the Spring Festival holiday, which will be implemented on February 13. At 11 o'clock in the morning of January 18, the West China City Daily-cover news reporter came to the Kehua South Road Expressway, which is one of the starting points of the two HOV lanes piloted by the Chengdu Traffic Police. The staff is stepping up to install the lane sign in the drizzle. The HOV lane of this section is set in the leftmost lane, which is close to the center of the green belt. By using the experience at home and abroad for reference, we set the HOV lane on the leftmost lane of the pilot road to better ensure less traffic interference and high traffic efficiency. The police of the Traffic Police Detachment of the Municipal Public Security Bureau introduces that the rightmost lane has a large impact on the vehicles because of the frequent traffic, and the traffic is relatively complicated with lower capacity. When the reporter came to the high-speed section of Kehua South Road Expressway, the traffic volume in the direction of entering the city was still larger although the morning peak had been gone. According to the reporter's on-site observation, there were more than 80 cars passing through in one minute, of which more than 40 cars only have one driver. The on-site traffic police introduced that the morning peak of this road section not only has more vehicles, but the proportion of one driver in one car is as high as 74%. The travel rate of vehicles with more than 2 persons (including) is about 26%, which is in line with the setting conditions of the lane. The other HOV pilot lane is the innermost lane of the first and second sections of Tianfu South Avenue (from the Jiancha Interchange to the Muhua Interchange) from south to north. The form of two-way with eight lanes conforms to the HOV lane; the setting condition of the number of one-way lanes is that it should have above 3 lanes. According to Chengdu traffic police monitoring data, the proportion of ridesharing vehicles on this road in the morning and evening peak hours is 39% and 44% respectively, which shows that the concept of green low-carbon travel has a certain foundation; In addition, this road belongs to the central axis of our city. The large social impact and good demonstration benefits of the pilot HOV lane are also conducive to future promotion. The car sharing is encouraged, it is predicted that the underneath pass of Kehua South Road will speed up by 14.6%. According to the data analysis of the structure and characteristics of the traffic in the central area of Chengdu, it is shown that one of the main causes of traffic congestion in Chengdu is the excessive number of the vehicles with one person. The relevant official of Chengdu Traffic Management Bureau said that the focus of improving traffic efficiency must be changed from focusing on traffic efficiency to improving traffic efficiency. According to the sample survey of major roads in Chengdu, the proportion of one vehicle with one person in the morning peak is about 68%, while this proportion in the evening peak is about 55%, which shows that the efficiency of the road use is very low. Setting up multi-occupant lanes can strengthen traffic demand management and scientifically allocate road resources. This official said that by strictly regulating the special road rights, the driving speed of high-load passenger cars can be obviously improved and the travel time can be more stable and reliable. Then the maximum efficiency of road resources can be fully developed and the traffic congestion on the pilot road sections can be alleviated. They attract more people to change the inefficient transportation. On the other hand, it is necessary to implement multi-occupant lanes which can also reduce vehicle exhaust emissions and improve air quality in Chengdu. Zhou Weichao, chief of the Optimization Section in Science and Technology Department, introduced that the traffic flow saturation of the underneath pass tunnel of Kehua South Road in the peak hours has reached 0.78, and the actually measured speed is 56.8 km/h. In theory, there are 7.33% of the vehicles with one person running on the other two lanes after the pilot HOV lane. It is predicted that after the traffic volume reduction in the HOV lane, the traffic speed will increase to 64.9 km/h with an increase of 14.6%. The service of this lane will reach the second level. At present, the Chengdu Traffic Police intends to set up to allow passenger vehicles to enter in the previous pilot. The next step is to assess whether the lane needs to be adjusted according to the traffic flow. In the accommodation lane which set according to the Article 37 of the Road Law, only the prescribed vehicles can go through. If the vehicle enters the HOV lane in violation of the rule, the Chengdu Traffic Police will fine 100 Yuan to the illegal vehicles. For illegal vehicles that enter the HOV lane across the full line on underneath pass tunnel of Kehua Middle Road, they will be punished in accordance with the Article 38 of the Road Law. In addition to punishing the traffic violations, the illegal vehicles will be charged a fine of 100 Yuan and be scored 3 points, that is, a total fine of 200 Yuan and 3 points. According to the previous notice issued by the Chengdu Traffic Police, the HOV lane pilot was officially implemented from January 23, 2017. In the light of HOV lane as new thing in China, Traffic Management Bureau insists on the combination of education and punishment to correct the vehicle violations not to be punished by the buffer period with 1 to 2 weeks. The law enforcement punishment starts from February 13 officially after the Spring Festival. Based on the pilot, Traffic Management Bureau combines the methods of modern technology like Transport Research Institute of Tsinghua University, Baidu Map, Big Data, Artificial Intelligence, Cloud Computing to evaluate the effect of multi-trip travels in Chengdu, and improves in time as well as issues the new notices. Finally, Chengdu traffic police reminds the citizen that the taxi carrying passengers could use HOV lane while small-size truck carrying over 2 passengers could not drive on the HOV lane. Only small-size and micro-size cars carrying 9 passengers as a minimum of authorized number could pass, stipulated clearly in "Notice". The type of vehicle and the number of passenger on the driving license are the standard for the details, Zhou Weichao said. It is cool, infrared thermal imaging captures. Some netizen said that it is time to buy a doll on the co-driver position after the implementation of HOV lane by Chengdu traffic police. However, this way does not work. We have introduced the modern technology like infrared thermal imaging to identify the actual number of passengers and capture the vehicle violations into HOV lane to make sure the special road right of HOV lane. Zhou Weichao said, Chengdu traffic police could test every car of HOV lane from three directions and judge automatically the situation in which picture could be formed to the background system as the material when only driver is in the car. As an infrared radiation source, the human body converges and abstracts the infrared radiation constantly. Thermal imaging device could only collect the infrared radiation of the human body passively and does not emit light or radiation actively, no worry of the harm for the body. There is no limit that the co-driver position should be sited on HOV special lane. It meets the needs that over 2 people are required in the car, co-driver position could not be occupied by a child under 12, Zhou Weichao said. Angkor, located in the northwest of Cambodia, is the world's biggest temple buildings famous for majestic architecture and fine relief. The green plant of Angkor could be into snowscape, stretching, White Plant, translucent and rime in summer in infrared photography by a photographer in Sichuan.The unique function makes the photos different into everlasting black-white classical color for Angkor post production. The group of works give a super-realism style different from the past: The towering old tree and silver-wrapped in the mottled light and shadow of the picture;Embracing the remains of ancient and mysterious Angkor, and the atmosphere of tranquil, natural, deep and grave revealed in the picture makes people in the dream without the existence of time. Especially the smile of Angkor under the black-white tone makes us feel the inner beauty in sadness about the ancient civilization of Angkor dynasty. At the end of December 2016, two men drove into Gehu national aquatic germplasm reservation and stole over 200 kg of bighead carp. But they were captured by Wujin police when they had not been closed to the shore. It turns out that infrared thermal imaging monitor was installed at Gehu national aquatic germplasm reservation by Wujin water police and Gehu Fishery Supervision Detachment of Jiangsu Province, and that day was the first day of operation. So far, Jiang and Qi, suspects suspected of illegal fishing, have been criminally compulsory by the Wujin police. About 11p.m. on the 29th of last month, the police on duty at the Wujin Police Water Police Station conducted a real-time patrol of the Gehu breeding reserve through a newly installed infrared thermal imaging monitoring system, and found two shadows driving a fishing boat in the fishing-banned zone in Gehu for illegal fishing, immediately, drove the patrol boat and arrested two men suspected of illegal fishing together with the law enforcement officers of the Gehu Fishery Supervision Detachment of Jiangsu Province and the police of Jiaze Police Station. The police seized on the spot over 200kg of bighead carp and other fish products, a 1.5-ton fiberglass motorboat and over 20 fishing nets. After investigation, Jiang and Qi, the two suspected men are Changzhou citizens, 49 years old, and living in Wujin. As they think the fish cultured by their own is not as delicious and rare as the wild fish in the lake, so they two decided to go fishing wild fish in the Gehu Breeding Reserve for a decent gift. Around 5:30p.m. The same day, they drove into the Gehu Breeding Reserve from an inland river with the motor sailer of Qi, and cast 21 fishing nets into the lake. They came to withdraw fishing nets at 11p.m. and over 2000 Yuan bighead carp they have caught. After being caught, Jiang said, frankly, they thought police wouldn't find them as it was dark, but unexpectedly police caught them so fast. 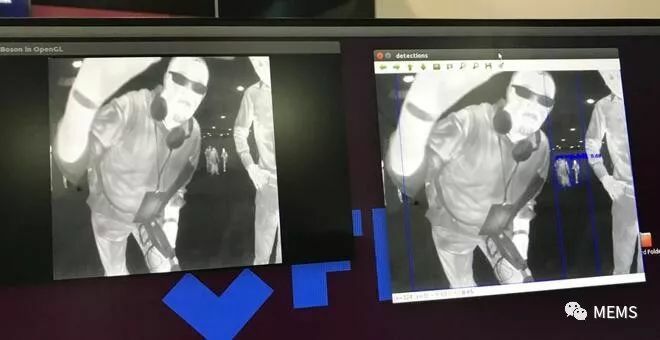 The reporter learned that the visible light monitoring equipment could not work properly at night, but nothing affected for the infrared thermal imaging monitoring system. &ldquo; the infrared thermal imager passively accepts the infrared heat radiation of the target itself, and is not affected by the light conditions. It can work properly at day and night, and even in rain and fog and other harsh weather conditions. &rdquo; Introduction to Zhou Yongming, the head of water police station. Gehu Fishery and Wujin police hereby remind the public, from January 1 to August 31 each year is the fishing-banned period for Gehu and all fishing activities in the lake area are banned. There are two National Aquatic Germplasm Resources Reserves in the north end of Gehu Bridge and center of the lake, and any fishery production operation by any unit or person in the said Reserves is banned in all year round. Any usage of illegal fishing tools, or fishing production operation in the fishing-banned area or during closed fishing seasons will be suspected illegal fishing and subject to corresponding criminal penalties.